I’ve just come back from a quick trip to Japan to do some research and fact finding for my new book, The Haiku Murder which is coming out in October. And also to see friends, take in a few shows and eat some genuine Japanese food. I thought I’d share with you some of the things I ate while I was there – all in everyday restaurants at under £15 a head. 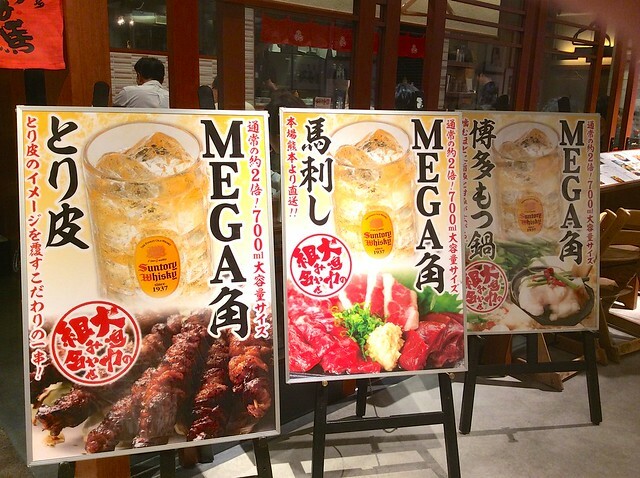 I started in Western Japan, in Takarazuka (more about that to come on my website) where I ate at an izakaya, Shirokiya. The point of an izakaya is that there is a huge range of small dishes on offer which you can combine in any way you want. I had tonbeiyaki, which is shredded cabbage and sliced pork cooked inside an omelette, with caesar salad, boiled tofu and maguro tataki mini sushi rolls. I was starving and it tasted fantastic. 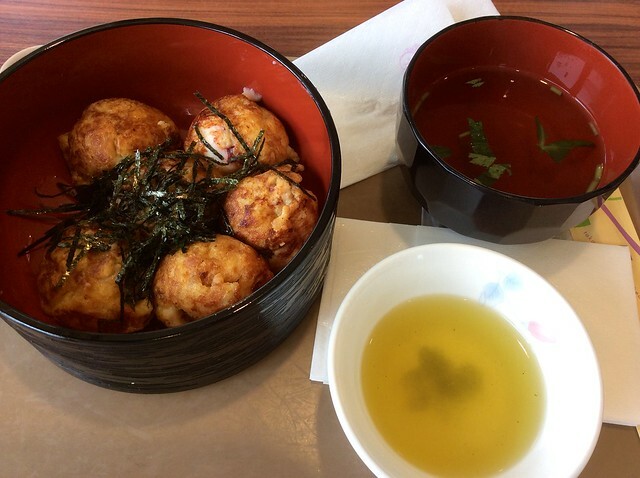 The next day I had an old favourite, takoyaki, which is bits of octopus fried in dough. I had it Akashi-stye, with a clear soup to dip it into, and a cup of green tea. I then flew to Tokyo, arriving at Haneda airport and taking the monorail to Hamamatsucho where I had sushi at Ginzo, including their speciality of tuna, salmon and prawn with avocado, accompanied by a large bowl of shijimi (freshwater clam) soup. 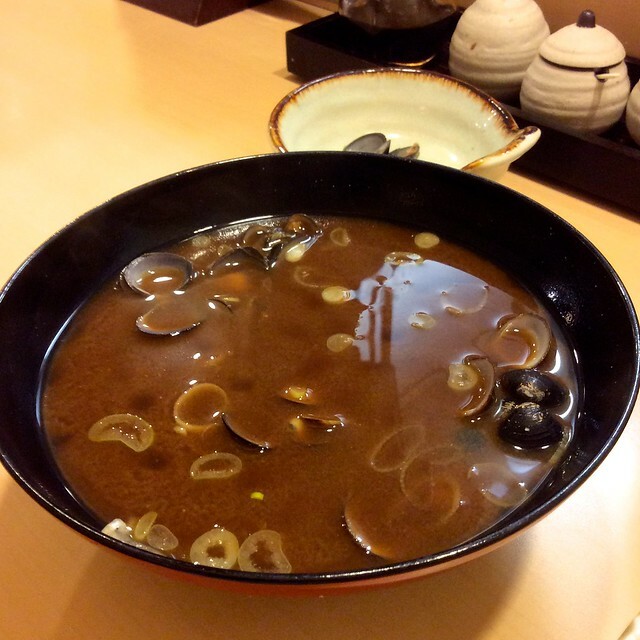 The strong flavour of red miso in the soup is the taste of Japan for me – I’ve really missed it. I then moved on to Shibuya in Tokyo. They’ve been rebuilding Shibuya as long as I can remember and the work is still ongoing, but they’ve recently completed a brand new building called Hikarie, eleven floors of shopping and dining topped off with a new theatre. My friends and I tried out some of the new restaurants there. 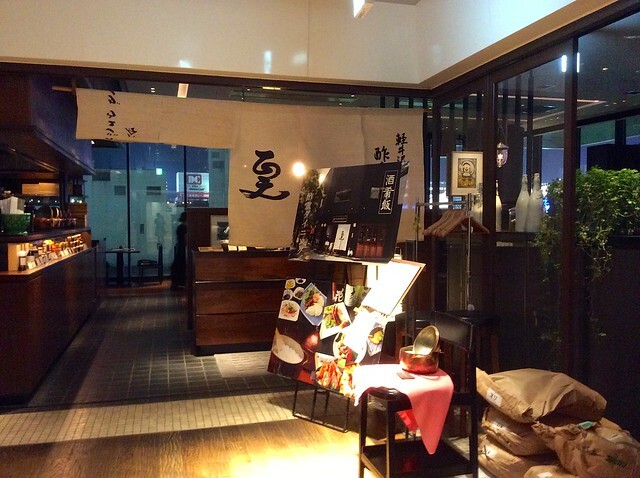 We started off at Suju Dining, run by chef Suju Masayuki. 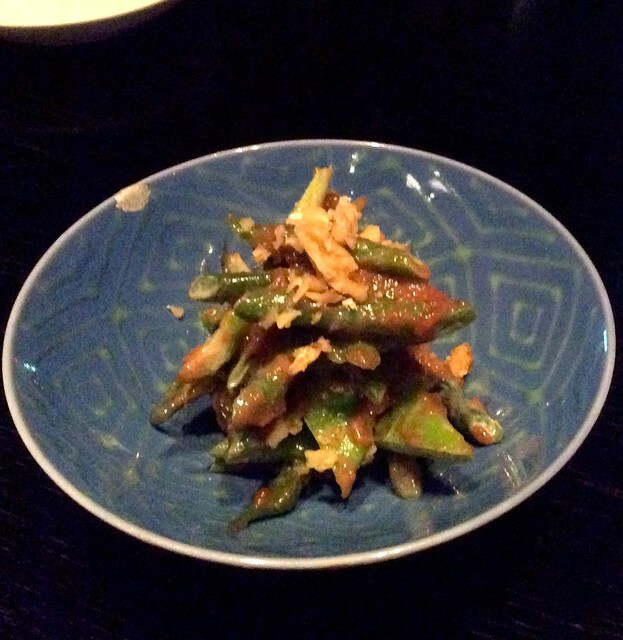 We shared a variety of dishes, including asparagus and green beans, fried tofu (shown at the top of this post) and lemon-marinated fish. 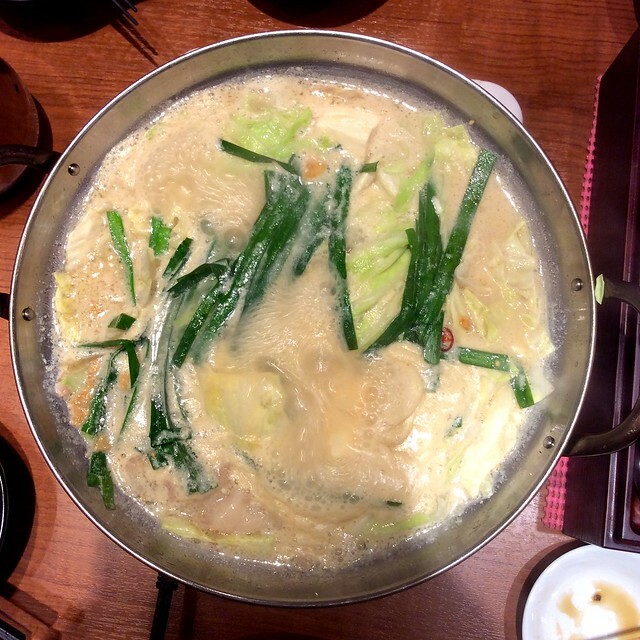 Then at UmaUma we again had a variety of dishes, but the main one was Hakata motsu nabe, a dish you cook yourself at the table in boiling water, which features fresh vegetables and tripe. You can add rice to the soup left after you’ve eaten the motsu nabe – at UmaUma they added cheese as well to make a cheese risotto. Uma means horse, and one thing we didn’t try at UmaUma was the horse sashimi which is a speciality. Maybe next time. We did have the fried chicken skin though, which was crisp and flavourful. The next day we had lunch at Mimiu, where I had yuba udon kitsune. 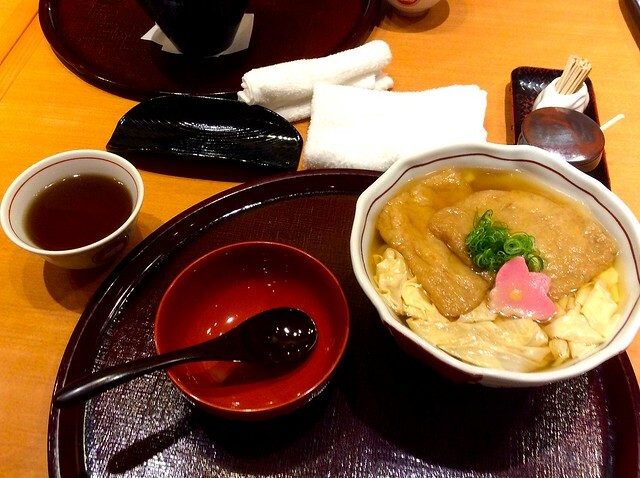 Yuba is a kind of tofu, made by floating the soybean on top of water so it forms flat ribbons. A kitsune is a fox – kitsune udon features fried pieces of tofu which are apparently a favourite with foxes (at least in stories). Udon are flat white noodles – soft and delicious. And then for dinner we went for an old favourite, tonkatsu, at Waco in Mark City, a big restaurant complex opposite the station. 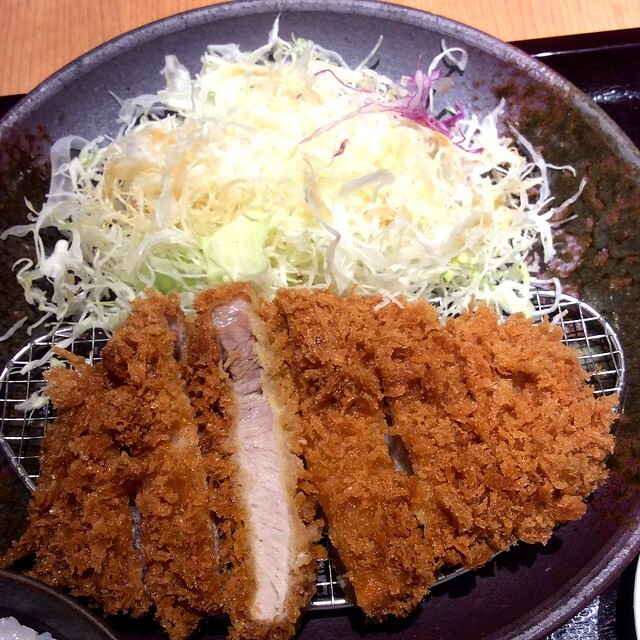 Tonkatsu is fried pork and it’s always served with plenty of shredded cabbage – you can order as many top-ups of cabbage as you like. 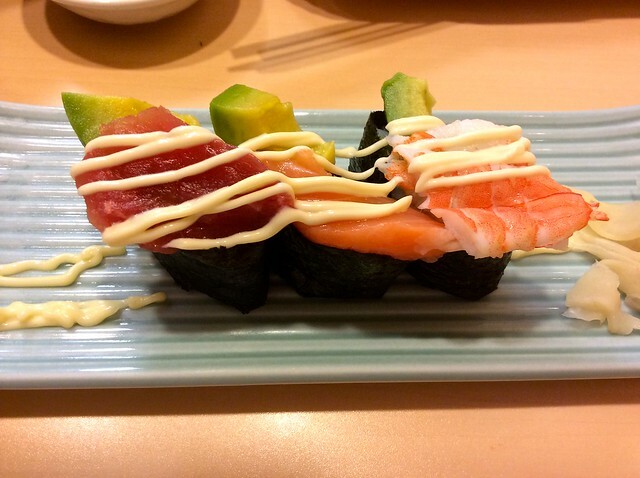 Which I did, with plenty of yuzu sauce on top. Wonderful. 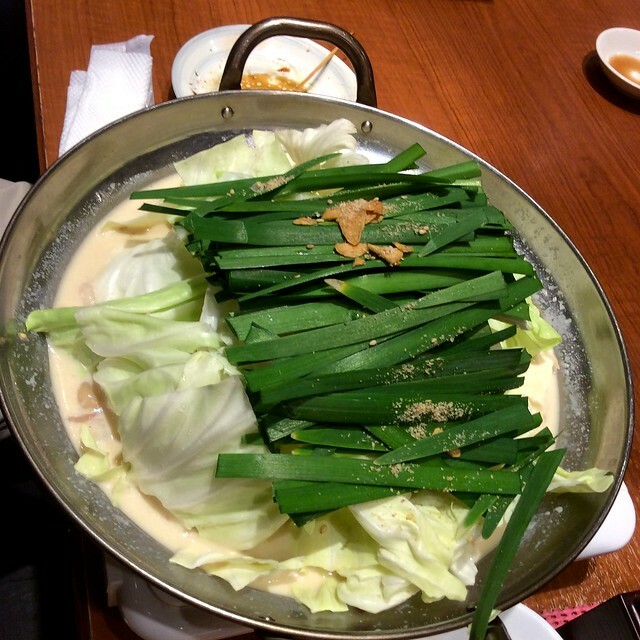 This entry was posted in Food and tagged Hikarie, Japan, Japanese restaurant, Motsu nabe, Shibuya, takoyaki, tonkatsu, UmaUma by Fran. Bookmark the permalink. 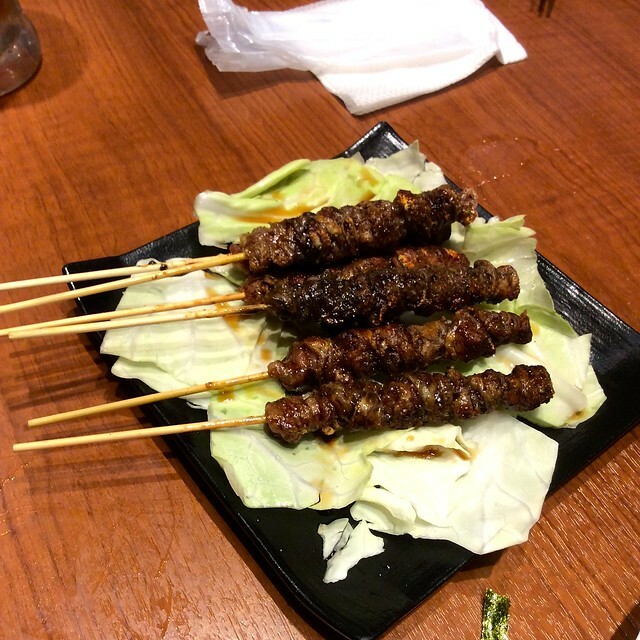 Thanks – looking at them makes me want to go back and eat some more! Mouth watering was exactly the word I was going to use. So delicious looking. Looking forward to hearing more about the book ….. Thanks! It was fun going to the places featured in the book – some of which had changed a lot since I was last there, so I was glad I went to check. You mean that was “horse” on a stick? No, that was chicken skin on a stick. 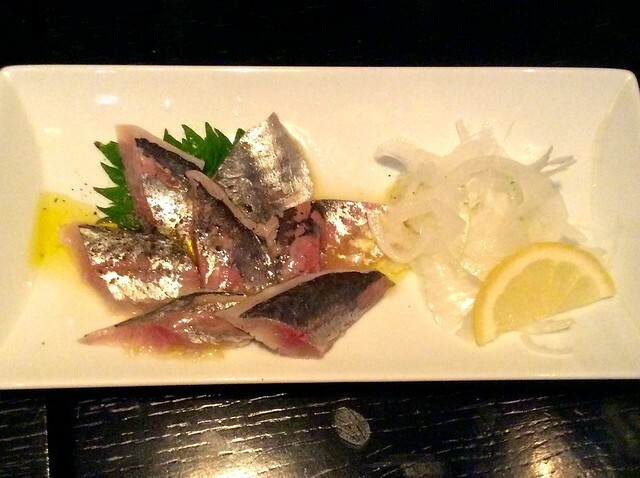 We didn’t try the horse sashimi – raw horse meat was not quite what I was looking for! All looks absolutely delicious. Time for lunch I think, but I think I’ll skip the tripe!! Yes, the tripe was a bit challenging! Oh my! You’ve probably had more Japanese food in the few days you were here than I would ever have in the same span of time. These all look great and the one I’m intrigued by is tonbeiyaki – is that like a variation of okonomiyaki sans flour? 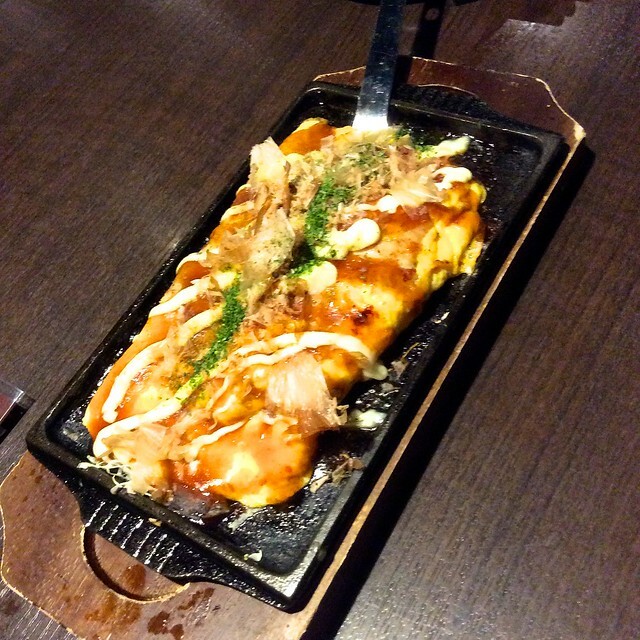 I think so – it certainly reminded me of okonomiyaki. I tried horse sashimi last year! Didn’t like it one bit lol. But apparently I need to try a different part of the horse, so maybe I’ll give it another go. Thanks – brave of you to try horse. I think I’d find that difficult.